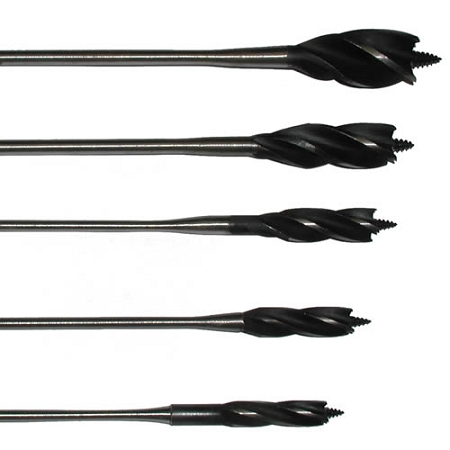 For cutting through flex wood, you’re going to want the Quattro wood auger bits from Piranhabits. 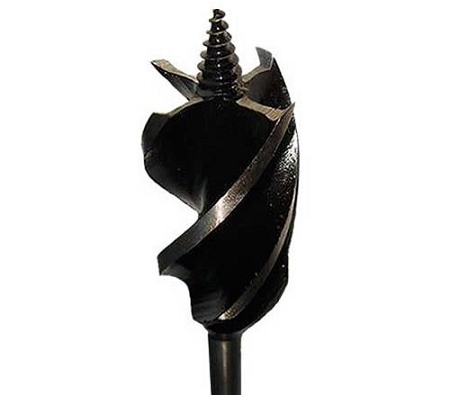 Equipped with four fluted cutting edges, these drill bits move easily through wood without catching debris and those under 48” are flexible enough to drill around corners and at different angles. Great for wire applications, a pathway for feeding cables is created during operation of the Piranhabit auger drill bits. 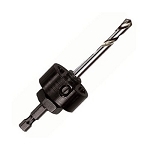 Available in various diameters and in lengths from 12-72”, a greater reach is possible with these flex wood drill heads. The flexibility design of the longer shafts will not distort the original shape of Quattro auger bits, and the high quality steel that make them up will stay durable for years to come. 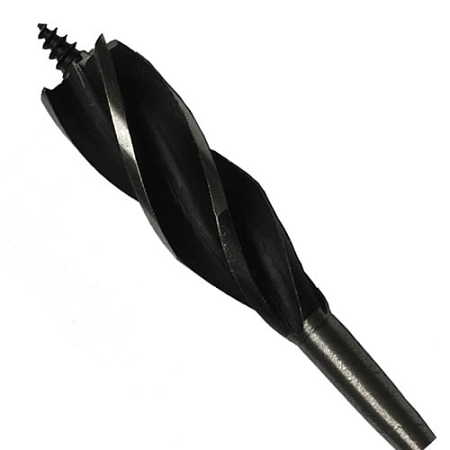 Piranhabits QUATTRO Flex Wood Auger Bits are great for just about any type of project. Shaft lengths between 12" and 72"
Available various diameters: 3/8", 1/2", 9/16", 3/4", 1", and 1-1/4"